For 30 years - between 1980 and 2010 - ARQ magazine was directed and edited by the architect Montserrat Palmer Trias. 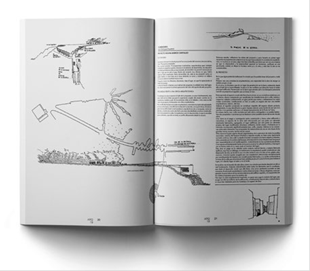 This text analyzes her legacy, through the 76 issues under her direction, emphasizing not only the risks she took by giving space to young architects to the detriment of more established colleagues, but also the drives - rational or sensitive - behind the editorial stakes she took during her period in the journal. A review of ARQ magazine allows us to reflect on the exercise of criticism or, rather, on architecture’s curatorial or editorial action in Chile. The pretext is issue number 100, even if running the risk of ruining the celebration; however, 100 issues over 38 years - from November 1980 to the present - that account for the most relevant events on contemporary discipline is a sufficient enough reason. This also allows recalling the significant editorial work carried out by its founder, the architect Montserrat Palmer Trias, who edited the magazine until 2010. Although in 2004 the magazine achieved the Thomson ISI indexation (the Arts and Humanities Citation Index), the main purpose of citation had already been achieved. Indeed, before this nomination, the architectural experiences published initially by ARQ were well known, spoken of, and commented on at both national and international levels; that is, they were‘cited’as never before in the history of Chilean architecture. Motivated by a special enthusiasm and sensitivity - in a predominantly masculine world - Montserrat Palmer managed to establish in Chile and the continent publications of the highest level with Ediciones ARQ and the homonymous magazine. The problem with this work’s recognition is that criticism has been missing - in fact, something that the profession has always avoided. Given that the journal is not issued by a trade union but a university, it is its responsibility to open judgment or to criticize the actors, works and matters that it publishes given that any any action of a is supposed to be reflexive, producing and disseminating knowledge; that is to say, it would not be enough to point some just out of preference and discard or ignore others, although it is well known that selection judgements are at play and stories can be fabricated. 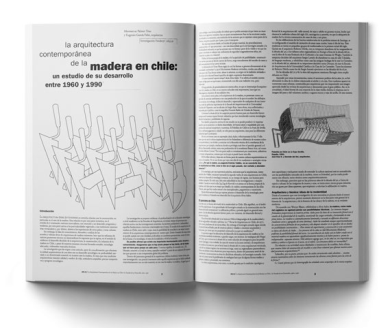 Beyond academic and editorial recognition, the aspect I would like to emphasize here is the way in which the magazine valued some architectures that were installed in the international scene, inciting an unaccustomed interest for Chile and its architectural culture. It can be agreed that the Portales Neighborhood Unit (Bresciani, Valdes, Castillo, Huidobro, 1955) and the ECLAC building (Emilio Duhart, 1960) were published in journals of massive international impact - such as L’Architecture d’Aujourd’ hui, Architectural Design and Cuadernos de Arquitectura, among others - but they were undoubtedly part of that miscellaneous update to show how architecture was a universal culture and all very similar, even in a remote place called Chile. This inevitable condition of modernity was later replaced by postmodern territorialization, where buildings’ location and a search for their spirit - fuelled by phenomenology - were the expression of national identity. Opposing this ethic demanded resilience. The social and political pressure - installing how architecture ‘ought to be’- turned the attention away from the facts of architecture and towards its historical and cultural context. For instance, the paradigm shift from a welfare state into a subsidiary one, installed by the military dictatorship, took the issue of social housing out of the architects’ agenda, at least well until the beginning of the 21st century. During that period, and leaving aside such an ideology of ‘what’s given’by the context, Palmer was dedicated to select - passionately, partially and politically - buildings and authors that made sense to her. Such a Baudelairean decision, without taking any distance, led her also to dismiss buildings and characters without assessing the risk: the “danger of death,” according to Georg Simmel (2002:33). Thus, she did not try to turn the journal into the means of dissemination of the profession, although the risk was the rejection or neglect of a guild that also included academics among its members. Beneath this critical operation was the possibility of a discovery - the leap forward - instead of some sort of aversion or clash: it was adventure as a procedure for positioning the works of Chilean architects, most of them young and unknown. Lifting the veil that not only covered, but also homogenized the experience of the architectural institution was a task that required risk abilities and moving away from institutionalized critique models: the price to pay for pointing at something was high, in a society where guild complicity suggested silence and discretion, according to the anthropologist Mary Douglas (1975). In Chile, the architect Humberto Eliash recalled that:“The reasons for a lack of architectural critique must be sought in the very nature of architectural practice: on the one hand, there is a difficulty in making criticism among or by architects,”and then, quoting Nuno Portas: “the corporate nature of the architects’work generated a ‘kind of agreement in which one should not criticize colleagues in public’” (Eliash, 1983:33). Jaime Marquez also acknowledged that: “the Journal of the Architects Association, which I have the pleasure and pain of editing, has undertaken a rather oblique form of critique and a more direct record of buildings. A record that serves as a kind of diplomatic critique made possible by (and perhaps corresponding to) a Professional Association. But the university, outside the economic rivalries of practice, can and should fulfill that role” (Marquez, 1992:19). However, the university that accommodated the journal was not exempt from the resistance to be criticized for the same reasons, since much of the institution belonged also to the association. Thus, transgressing this norm was an act of rebellion - a way of looking forward - but also anticipated in Chile a new sensitivity. Montserrat Palmer had already challenged this ‘silence agreement’ in her first editorial piece for ARQ: “Everybody plays his or her role, everyone holds its own screen, why? In any case, it is clear that the screen is needless and that what is actually missing are mirrors” (Palmer, 1980:1). Escaping the inbred confinement was no easy task. However, rather than casting aside the school and the scientification of architectural critique, the journal’s director assumed that critique was based on judgment - her own - recovering the original Greek meaning of the term. Years earlier, the issue had been discussed at a seminar of the American Institute of Architects (AIA), held at Cranbrook in 1964, and attended by Bruno Zevi, Peter Collins, Reyner Banham, Serge Chermayeff, Sybil Moholy-Nagy, Stephen W. Jacobs and Stanford Anderson. It was one of the important moments within postwar reflection regarding the relations between criticism, theory and history in architecture: “Most of the participants agreed that it was judgment what should be the foundation of critique, differentiating it from theory and history: the question of judgment criteria stimulated discussions inside the seminar” (Jannière, 2009:121-40). However, architectural critique was not detached from its academic links and the relationship with both theory and history continued to allow the production of a grand narrative, an epic and integrating story that undoubtedly provided more certainty and transcendence to those facts that were less divergent and more conciliatory. In the 1980s, Ignasi Solà-Morales pointed out that it was not easy to ‘ward off anguish’, as Manfredo Tafuri (Solà-Morales, 1995:165) had formulated the purpose of architectural critique. The circumstances of fragmentation and unpredictability made it difficult to build a discourse that found its reasons and meaning within a general system of architectural knowledge that could “beyond any individual good faith, impose forms of contestation and protest to its own products (which currently) have been replaced by microhistory, the universe of mentalities and the advent of a new kind of subjectivism” (Solà-Morales, 1995:166). This fragmented and unpredictable multiplicity was the environment that legitimized, without general laws, approaches that explain forms of positioning critique that can be confused with the editorial or curatorial task, as a selection of actors, works and themes. An interesting case was the critical action of the New Yorker Ada Louise Huxtable (1921-2013) who, taking the New York Times as a platform, fired direct comments on her views on buildings and architects. As Philip Ursprung stated: “At the beginning of the 1920s, at the time of Susan’s failed performance (from Citizen Kane), a good critique could be worth a fortune, and a bad one could ruin an entire career” (Ursprung, 2016:11). Huxtable not only addressed the architects, but especially public at large, capable of adhering to celebrations or condemnations and for whom critique was pronouncing judgment, summarizing any analysis in either good or bad, effective or deficient, beautiful or horrible. Apparently, critique embodied in the role of a judge answered to what many expected from her. Ursprung pointed out that in 1980: “we entered the Iron Age of critique (...). Critique became a shadow of itself: it had lost its teeth and had become harmless (...). Obviously, critique has not gone away forever. As a guerrilla army, critical conscience is hiding somewhere, waiting for its chance to counterattack” (Ursprung, 2016:11,12). Apparently, although the author harbored some hope, the recovery of the criticism would be the recovery of its teeth... to resume its biting. That is to say, from two different conceptual viewpoints, Solà-Morales and Ursprung agree that in the 80s criticism had calmed down and there were no narratives where to place experience. But under contemporary circumstances it is possible to ask whether it will be necessary to return to these practices. To ascribe reason and meaning within a more restricted system of knowledge is a feature of criticism that would be explored through microhistories, cultural studies, or phenomenological perspectives, especially when the certainty of a center has been lost. Regarding architecture magazines, Ursprung comments that: “The most successful ones look more like monographs than magazines: they contain interviews and statements by stars, interpretations by historians, but no opinions” (Ursprung, 2016:13). Thus, it seems that the public - or this critic - expected a Huxtable type of writing, perhaps in a kind of fashion that recovered the original sense of the Kantian aesthetic judgment. However, such a recovery omits the meaning of ‘spoken words’ (interviews) and the ‘bringing out the meanings of facts’ (interpretations by historians) that finally give meaning to the architectural work. Although the practical reason for the necessity of judgment is its articulation with the cultural and professional legitimation apparatus, the critic - whether he likes it or not - becomes an agent for promotion. However, it is surprising when this promotion does not obey the demands of institutional apparatuses and, on the contrary, focuses on a world that is unknown: when unexpected works and authors are introduced, instead of merely confirming the establishment. It can be agreed that, since the mid-1980s, many architects in Chile had joined the postmodern adventure and the religious spirit of what ‘ought to be’ - translated into ‘appropriate modernity’ - while the collegiate institution confirmed official architecture through biennials, publications and continental events. Such a deployment confirmed the power of the guild, putting at risk any efforts that would face that direction. In this way, and consistent with its ideas, the journal did not contribute to the epic tale of a local architecture, neither did it disembark in the magazine, but rather - on the contrary - was confined to issues 15 and 18 in a controversial manner. 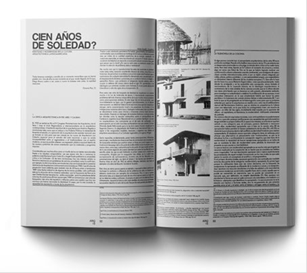 It was a significant debate that travelled across the continent and was distilled in the essay “100 años de soledad” (100 years of solitude) by Adrian Gorelik (ARQ 15) while the magazine published Glenda Kapstein’s work, with comments by Cristian Fernandez Cox. 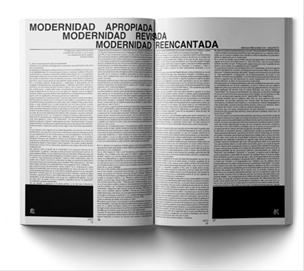 Subsequently, in ARQ 18 (September 1991), and during Alex Moreno’s direction, Cristian Fernandez published the essay “Modernidad apropiada. Modernidad revisada. Modernidad reencantada” (Appropriate Modernity. Revised Modernity. Re-Engaged Modernity). After a large-scale systematic analysis; the review of (the building’s) intentions, its plan and facades; its constructive features; its regulatory layout, details and elements; spatial configuration, contextual relationships, dimensions and proportions, semantic load, and so on, leaves the building with only a few possibilities left to save a mystery, something hidden that invites to look at it again. It feels a bit like everything has already been said. (Ugarte, 1989:15). It is the opposite of Le Corbusier’s architectural system. There is nothing left of him other than its appearance. This work is then presented as a LIMIT. A border between two different conceptions of both the World and Architecture... Chillán belongs to that small number of works, paradigms of architecture, which represent the moment of change from one Idea to another. From one World to another... they are foundational... Chillán’s work represents a new Proposition. Perhaps excessive, monstrous or simply ugly, but the intensity of its action and its internal coherence cannot be denied (De la Cruz, 1989:30). After an extensive account on its form, this self-absorption did not exhaust the extensive list enunciated by Ugarte, but it rather introduced an enigmatic reading on the meaning of the work with a promise (perhaps based on mathematics) that had no future, but instead opened new critical itineraries. Another interesting case that escaped the particular judgment form (which declared what seemed to be object of improvement or that which was decidedly wrong) was that of Leon Rodriguez, whose comment on the project for the House of Culture Cantalao competition transcended descriptions or corrections: “Within the very diverse set (of projects) among which there were naive ones, there were complicated ones, vernacular ones, and so on, this (one) came to me as a masterstroke, opening a furrow on the hill by removing the ground and building an infill expanding from the cliff into the sea” (Rodriguez, 1991:21). 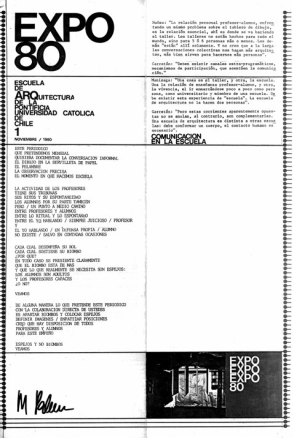 Both comments are located within what Sola-Morales called ‘new subjectivism,’ but, in general, the reviewers could not separate themselves from the kind of correction or observation that studio professors offered to their students, as happened with the Los Andes building, by Cristian Fernandez Cox, published in ARQ 25. There, the ‘comment’ stated that: “it is an ‘intelligent’ building, but its ‘intelligence’ is not used to counteract the substantial design errors in which it often derives the uncritical use of inappropriate models often derives: the most frequent one, to generate ‘heating pumps’ by leaving the western facade unprotected and hermetically sealed (...)” (N.A., 1994:23). While these events were happening, the director would try to sell ‘a poke in a pig,’ as she used to say, by taking chances, the adventure of discovery; and although the magazine was still accompanied by a ‘commentary,’especially when it came to student work, the most important thing was to include them in the magazine: this is how Luis Izquierdo’s (ARQ 5, September 1981) and Antonia Lehmann’s (ARQ 7, November 1982) graduation projects appear; as well as the house in Tongoy by Klotz and the Melocoton house by Sebastian Irrarazaval (ARQ 23, May 1993), along with his graduation project (ARQ 25, January 1994). 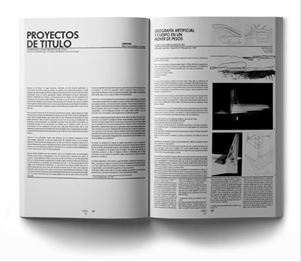 Thus, the magazine introduced the words and the buildings by young students or graduates, such as the case of Alejandro Aravena’s graduation project, entitled “Geografia artificial y cuerpo en un mover de pesos”(Artificial geography and body in a movement of weights) published in ARQ 21 (September 1992) or his text “Simposio de Siracusa” (Syracuse Symposium) in ARQ 26 (May 1994). 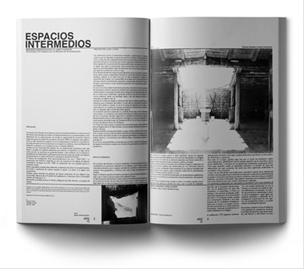 In ARQ 27 (September 1994), Radić publishes the series “Ejercicios de descripcion” (Description Exercises) integrated by five essays written by friends, together with his own, entitled “El explorador polar” (The polar explorer), and one by Alejandro Aravena on the Alhambra. Since ARQ 30 the magazine changed itsformat. Its editorial announced: “Issue number 32 will be devoted to houses and the city seen by the very young. A new generation, goodbye to the current self-righteousness? I wish.” (Palmer, 1995:2). 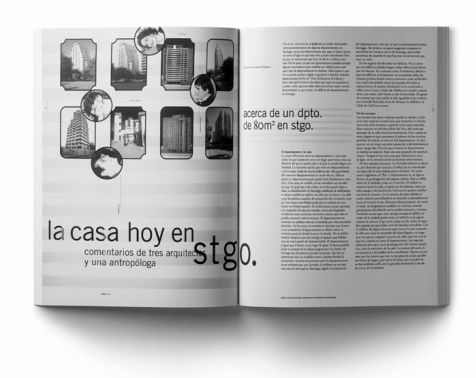 ARQ 32 featured a text by Sebastian Irarrazaval inside the piece “La casa hoy en Santiago” (The house in Santiago today), where Mathias Klotz analyzes the neighborhood El Golf. 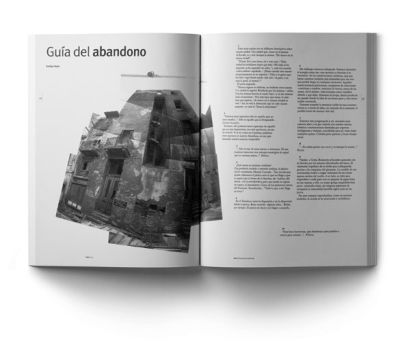 In ARQ 37, Radić publishes his “Guia del abandono” (Guide for the Abandoned), a topic that he will insist on until the today. The following year, arq 38 features a small office building in Chonchi, and ARQ 39 includes The House of the Carbonero, both works by Radić himself. The ‘trust’ placed upon the youngsters was an unusual, risky attitude. In this regard, Alfredo Jocelyn-Holt noted: “Thinking Chilean architecture can, of course, become a risky genre” (Jocelyn-Holt, 2009:XXV). More so when unexpectedly came into scene architectures and inexperienced words that crossed the borders of canon and modern orthodoxy and move forward without any prejudice, using what they had at their disposal: fresh readings and some wooden boards. If we want to follow the alternative developments of wooden architecture in the three decades studied, we will have three broad segments: the mediaguas, by the Hogar de Cristo (...); the summer houses on the central coast; and wooden architecture in the south, built since the 70s as vernacular architecture, and from then on, entering the current trend as postmodern regionalism (…) in the central area the proliferation of mediaguas makes wood and poverty, or wood and precariousness somehow synonymous” (Palmer and Garcés, 1993:3-4). In those same pages, Cristian Valdes was quoted stating: “Why does not wood (...) become architecture today in Chile, as it did in the last century, so varied and abundantly?” (Palmer and Garces 1993:3). This aspect, initially analyzed by Benjamin in “Experience and Poverty,” was mounted in the discourse critical of modernity, erasing all traces to “start from the beginning, start over, go through with little, build from scratch and without looking neither sides. Among great creators there have always been implacable ones whose first act was tabula rasa” (Benjamin, 1973:169). The experimental procedure, the almost handmade tactile approach that gathers anonymous knowledge in the manner of the dictum and the proverb - Agamben argues - were lost to the certainty of a méthodos, of a clear path. This experimental and tactile project approach had also imbued the new generations. The importance of this issue should be analysed separately, but it is possible to estimate some first hypotheses. This is how the approaches of Montserrat Palmer, those of the UCV and those of the young architects of the Pontificia Universidad Catolica de Chile came together in a single appreciation, where the ‘material’ was a kind of reading of a recovered archaic sensitivity, now installed as a tendency shared by international contemporary architecture. Undoubtedly, its origin is located on the folds of postmodernism, back when there was a rebellion against institutions in 1968. Although wood was already in its stage of normative development and industrialized production,6 its use was stigmatized. Faced with the “modernity’s loss of prestige,”which Palmer stated in her research, paths were opened starting with the 1st Architecture Biennial in Chile in 1977, which within an international environment of crisis and postmodernism, guided the search towards a Chilean ‘regionalism’ rendered in adobe and tiles. A second piece on that same ARQ issue, signed by Patricio Morgado, designated a specific feature of wood as “materiality”; that is, it dealt with this abstract noun trying to transcend architecture’s ‘object-like’ definition, while incorporating it to the language of architecture as a kind of design approach. Thus, the project begins with a tactile imaginary extracted from refined, ordinary or vernacular sources, almost always fragmentary, as a detail, a kind of objets trouvés that are confronted with classical professional procedures, some by assuming a detachment from the program and then selecting from a repertoire or logical catalog of materials. Although the piece did not define the term, the so-called “materiality” begins to be installed in the projective speech. Years later, in the book Conversaciones informales, Eduardo Castillo interviews German del Sol and Luis Izquierdo, 2004 and 2006 national architecture prizes, respectively, noting that, “they have established the polarity of today’s architecture” (Castillo, 2009). And, although this polarity was not meant as antagonistic, but as design options, it clearly defines a tendency that was manifested with exceptional examples of Chilean architecture. Thus, between her discovery of new talents and her sensitive approach to matter, Montserrat Palmer helped to open the way for a recognition of a new Chilean architecture. She did it through a Kantian intuition, without any critical apparatus, but in search of it. So it was that she tried ‘commentaries,’ but these were never more significant than that curatorship or editorial work that valued and brought into existence authors and works, producing a particular visibility. We are greatly indebted: rather than responding to the needs of the institution - speaking and being spoken by certainties - Montserrat Palmer set out to find something, to the adventure of new paths in Chilean architecture and thus contributed to the construction of a new myth that, at least, people turned to look at. Universidad Nacional de La Plata, Argentina, 1972. Magister Scientarum, Historia de la Arquitectura, Universidad Central de Venezuela, 1996. Doctor in Architecture, Universidad Central de Venezuela, 2006. Has taught in several Latin American universities and was director of the Centro de Investigaciones Históricas y Estéticas at the Universidad Central de Venezuela, and dean of the Universidad Andrés Bello in Chile. He recently published the book Heads/Tails (Ediciones ARQ, 2015). He is currently professor in the Facultad de Arquitectura, Arte y Diseño at the Universidad Diego Portales and in the School of Architecture at the Pontificia Universidad Católica de Chile.